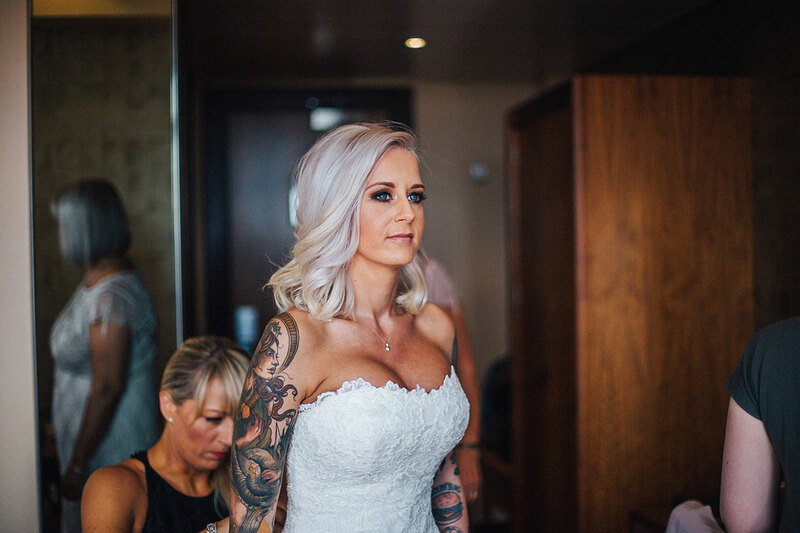 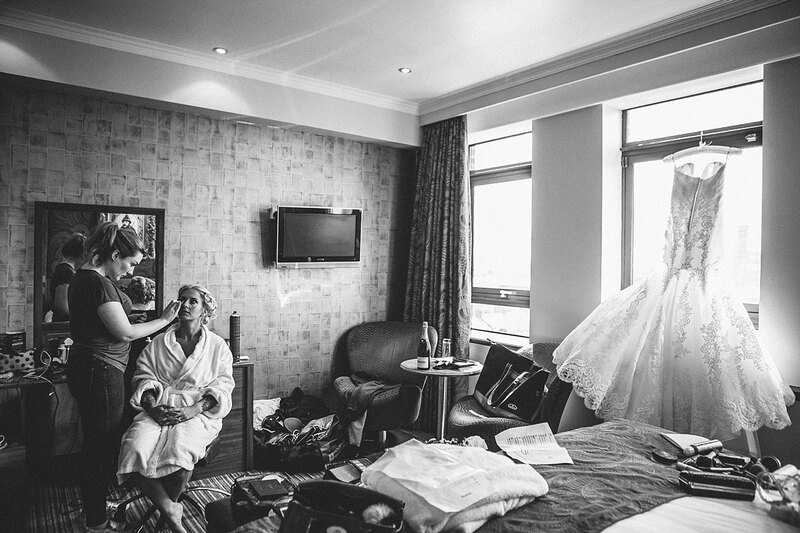 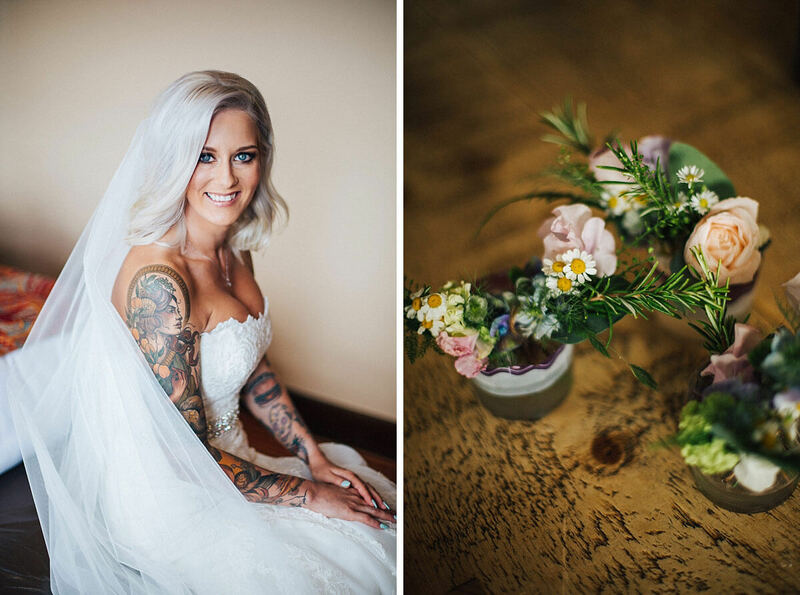 I love nothing more than seeing a couple embrace their personalities on their wedding day. 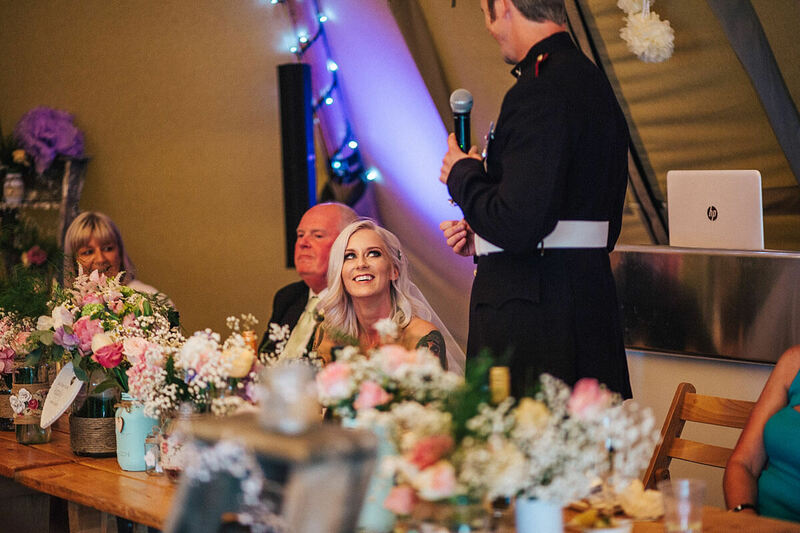 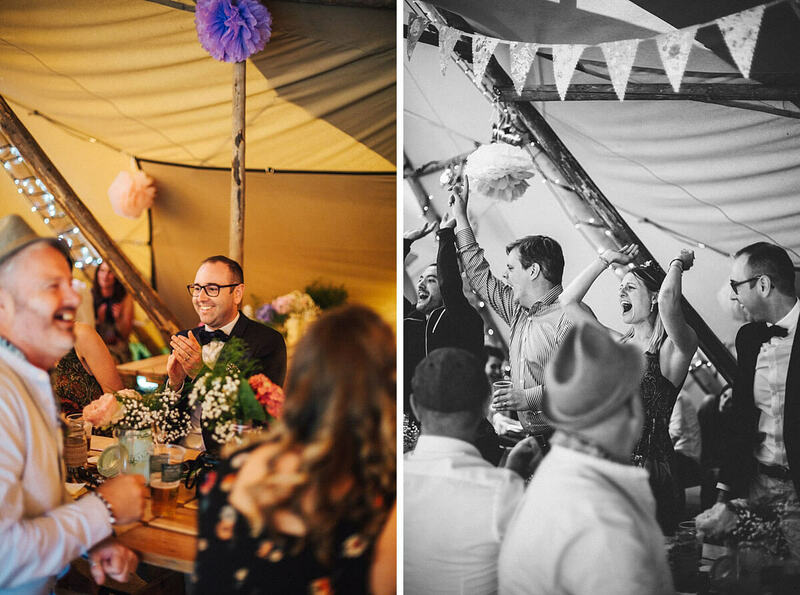 As lovers of the outdoors and HUGE Star Wars fans, Katie and Gareth didn’t hold back on making their day their own. 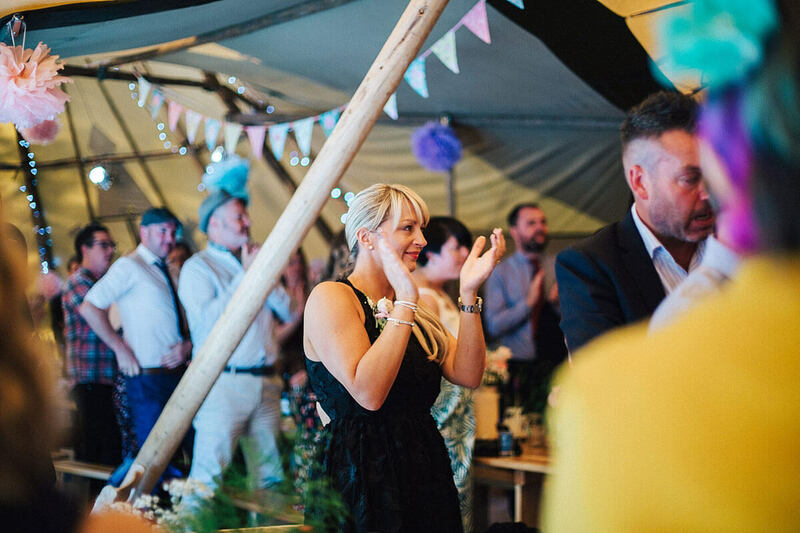 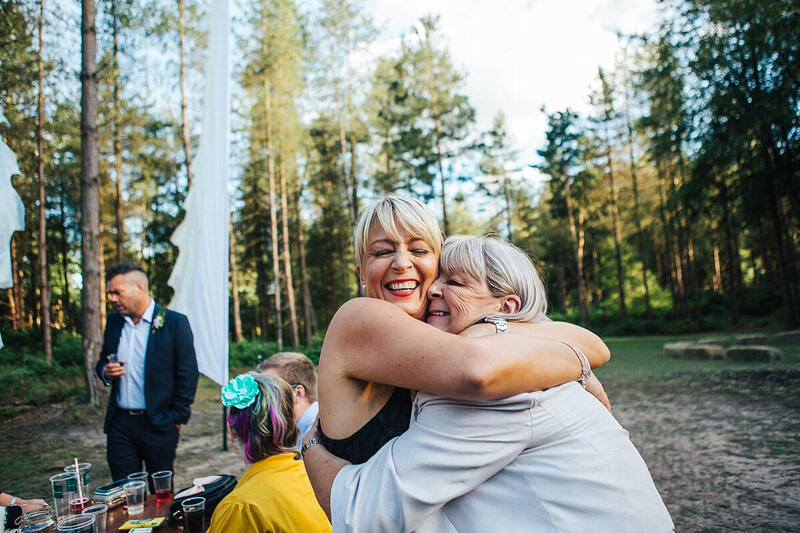 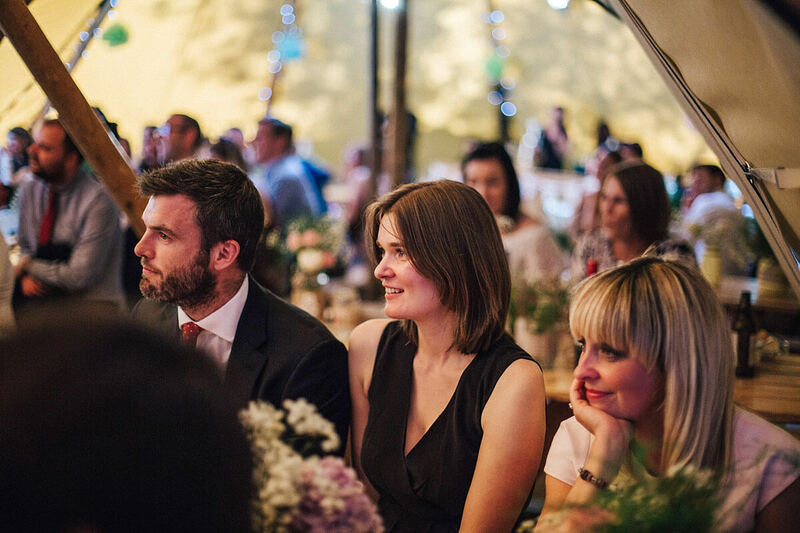 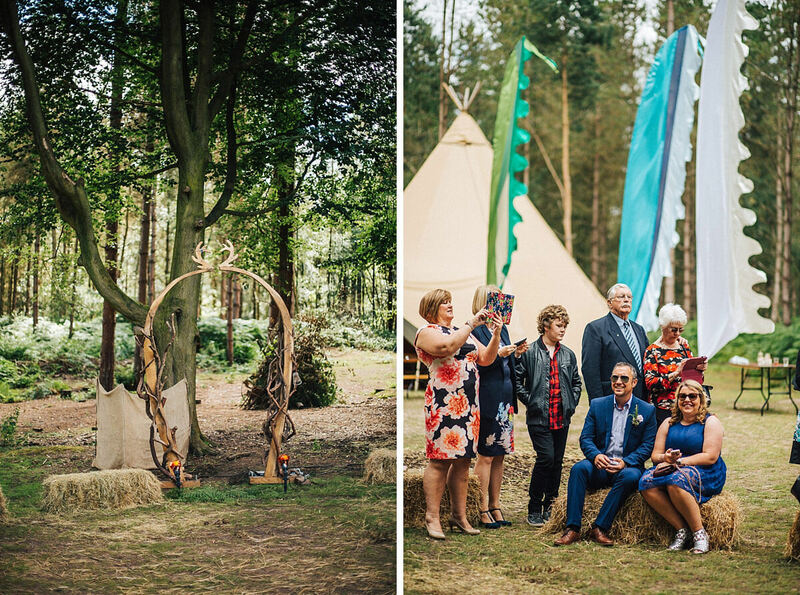 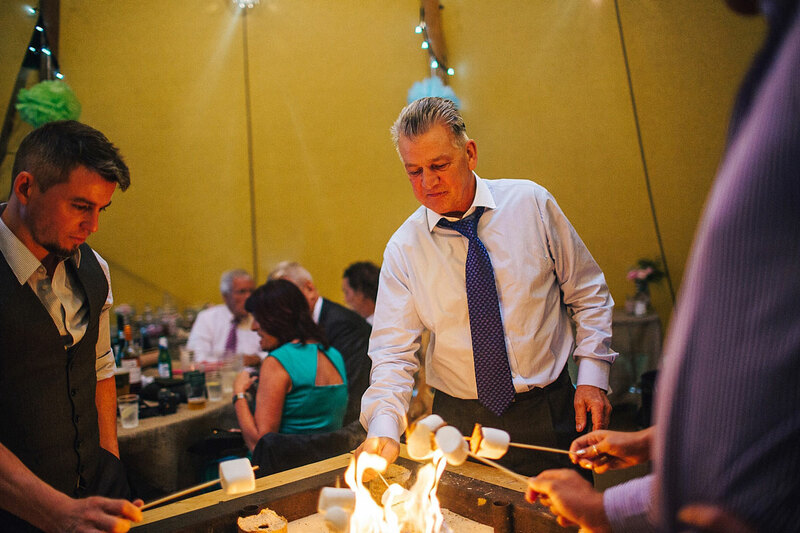 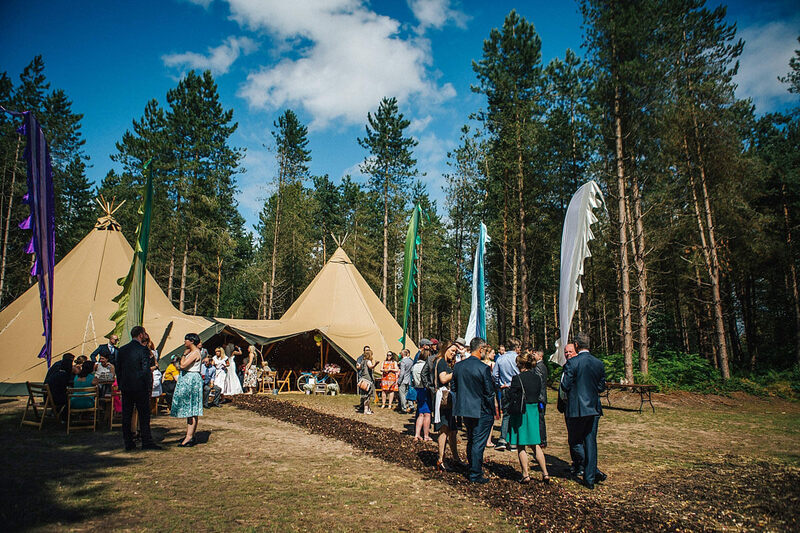 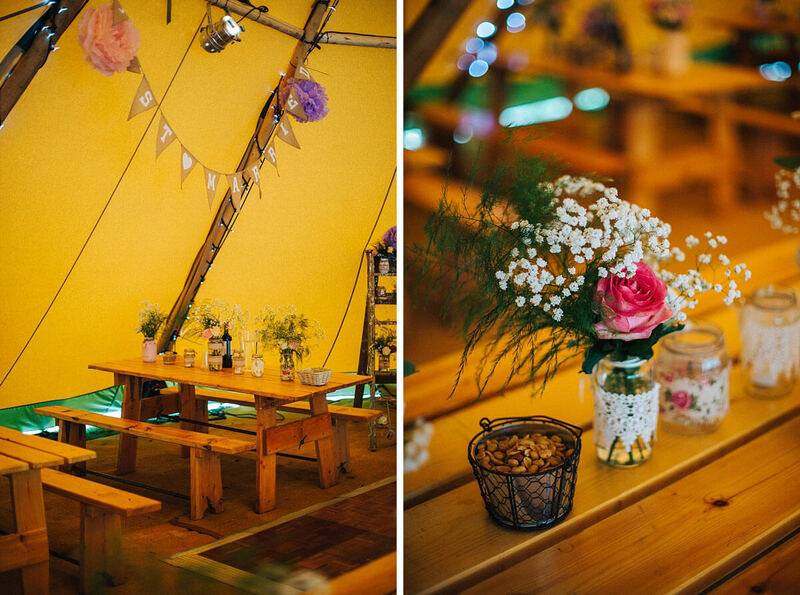 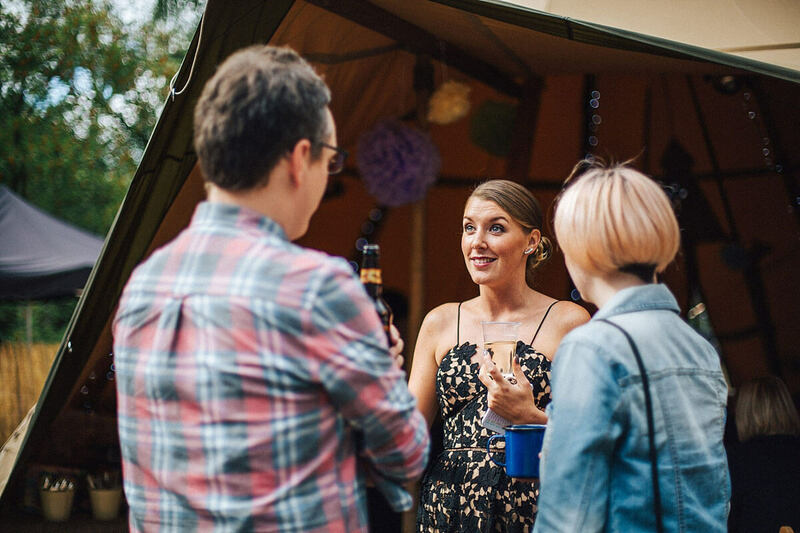 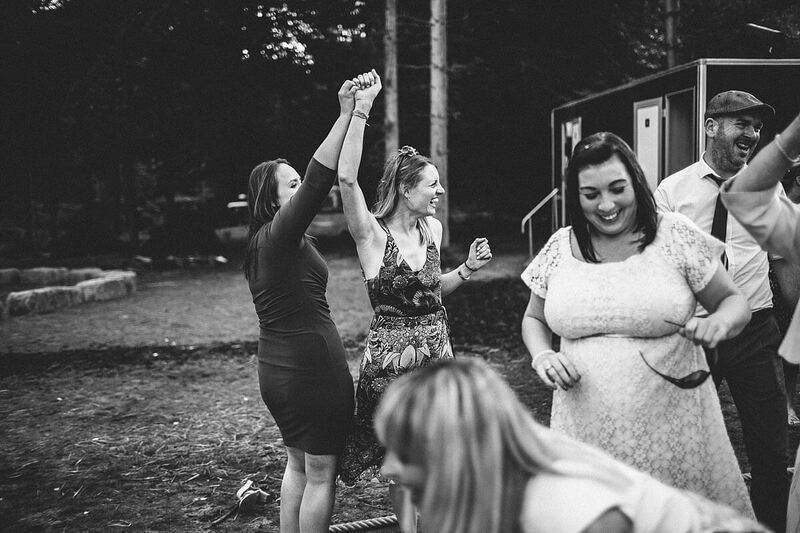 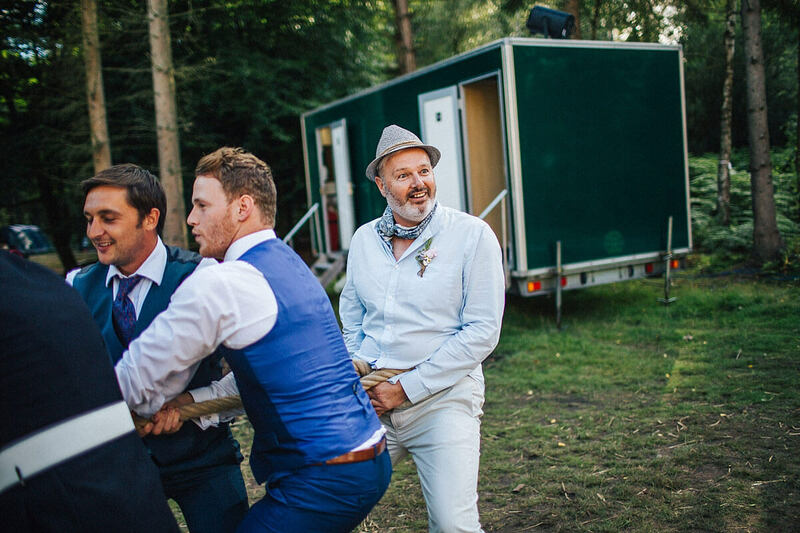 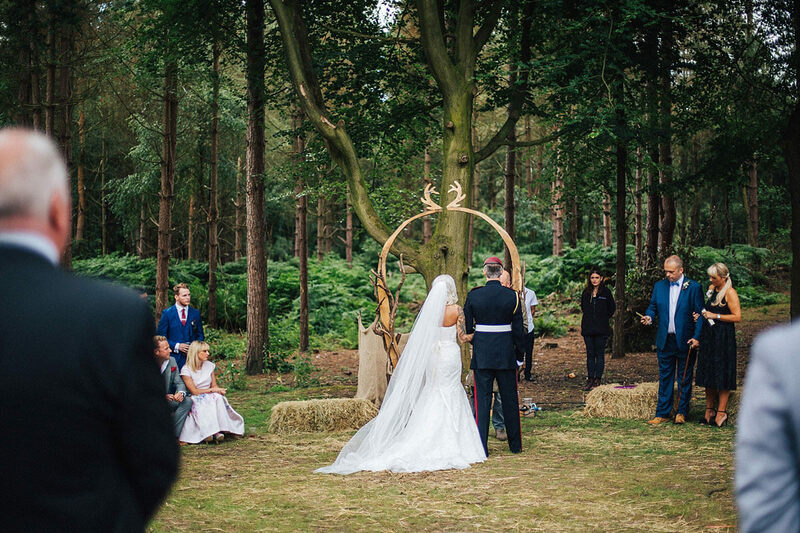 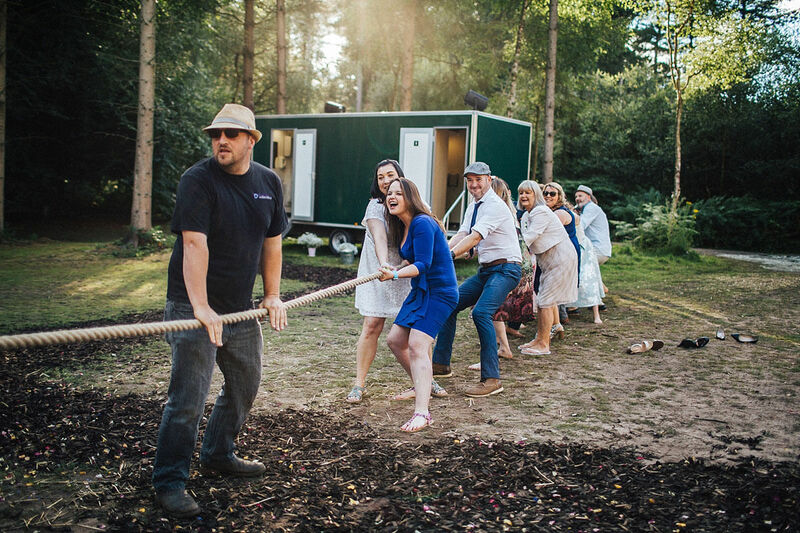 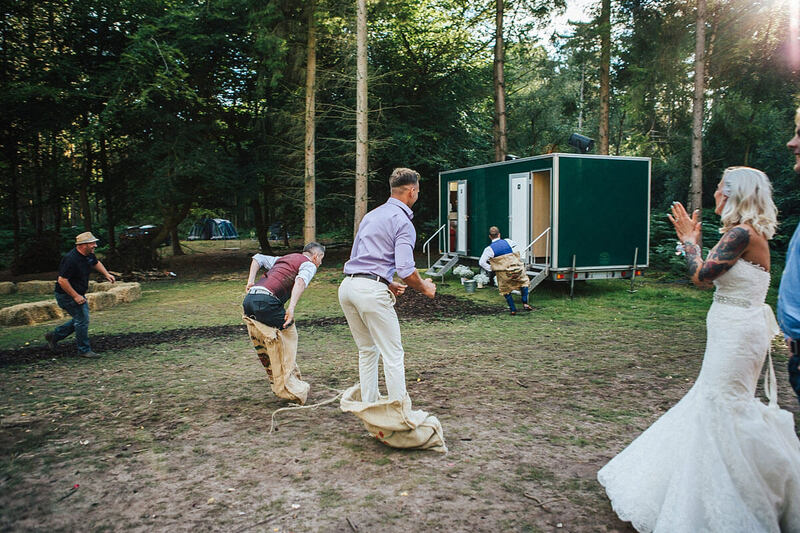 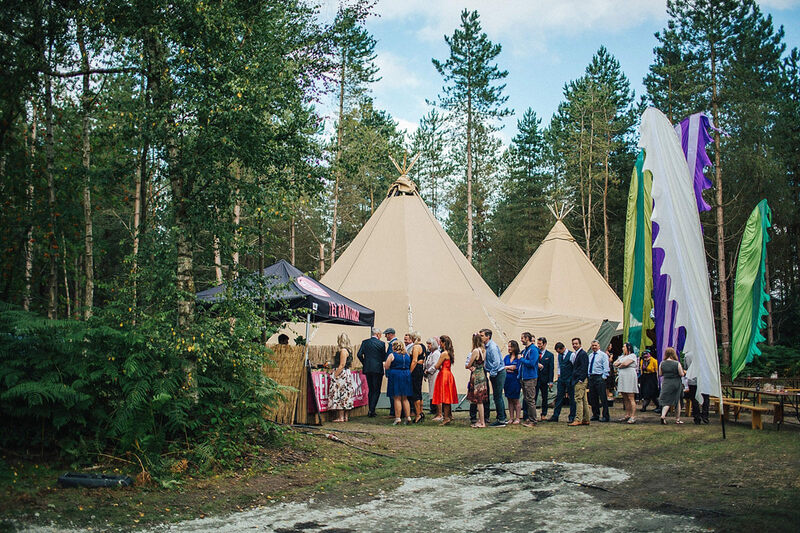 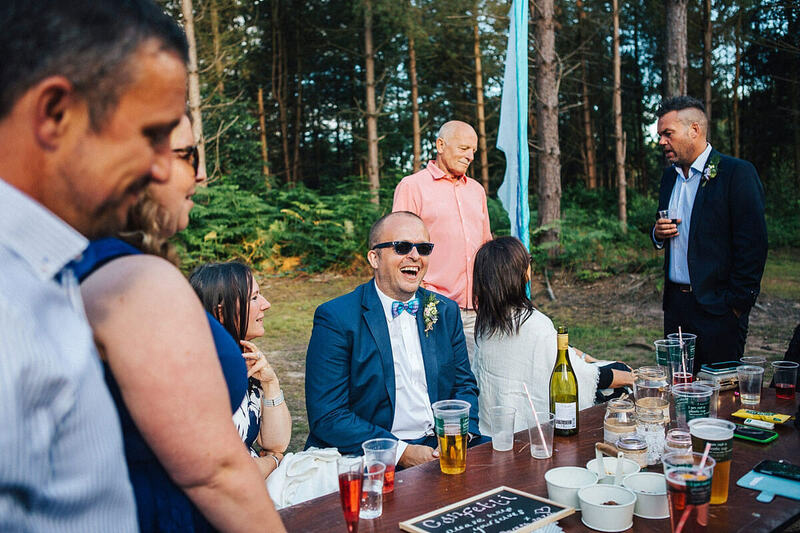 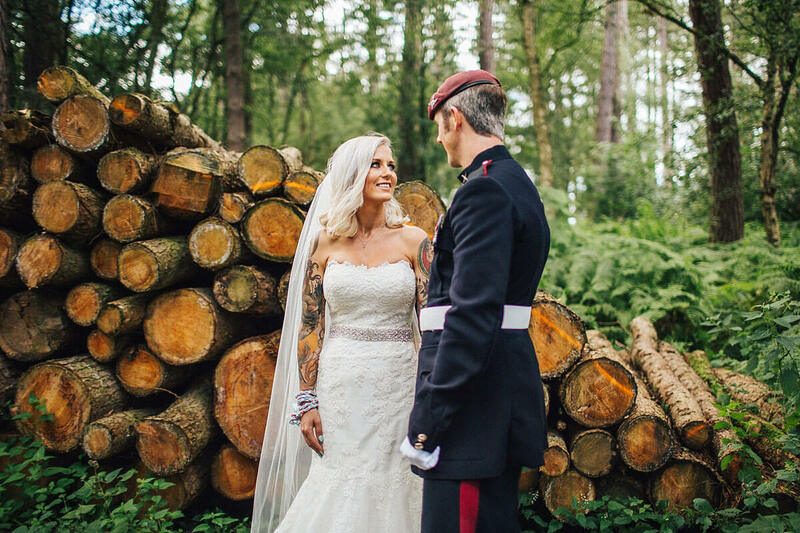 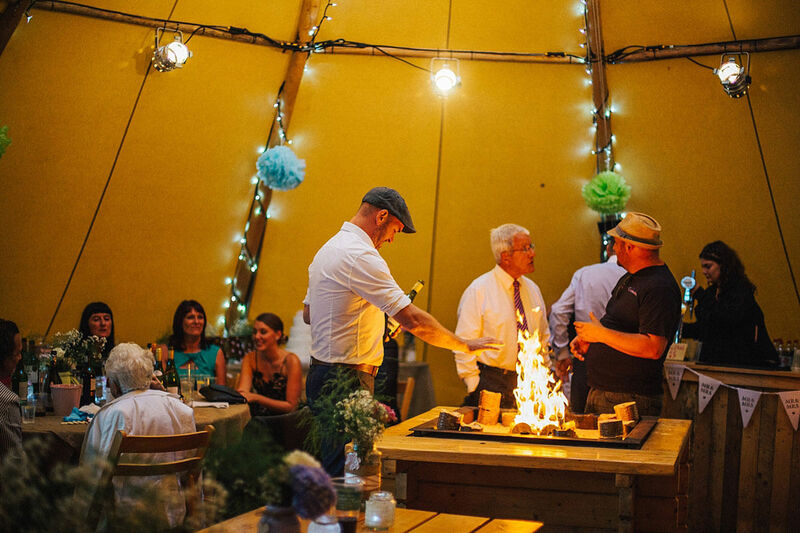 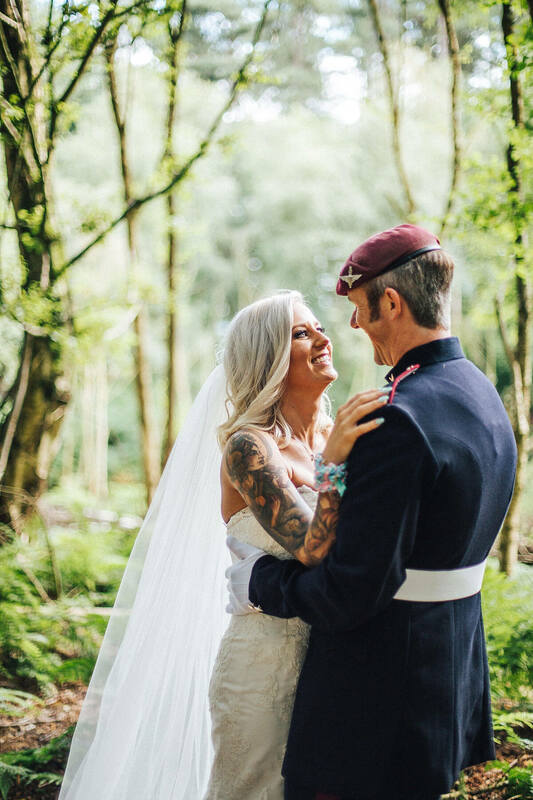 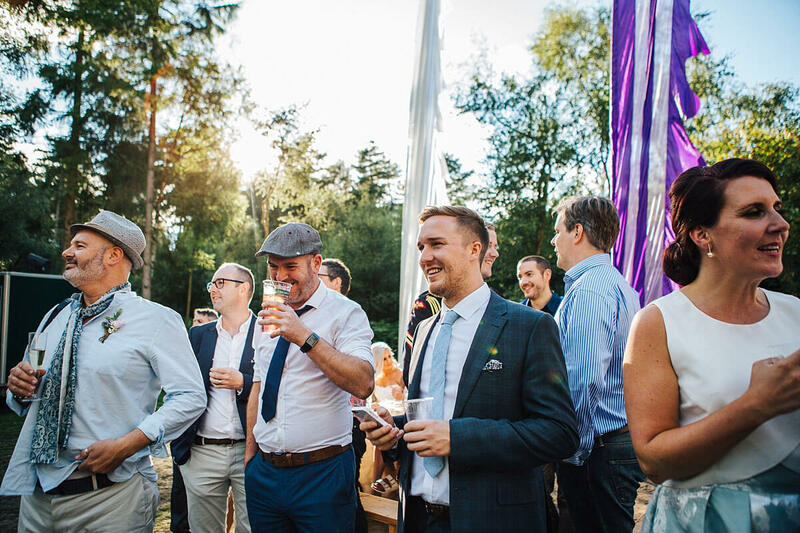 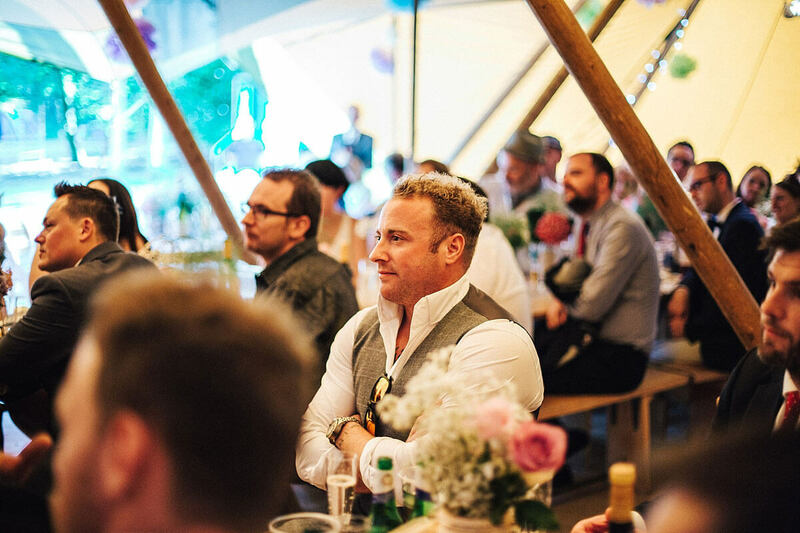 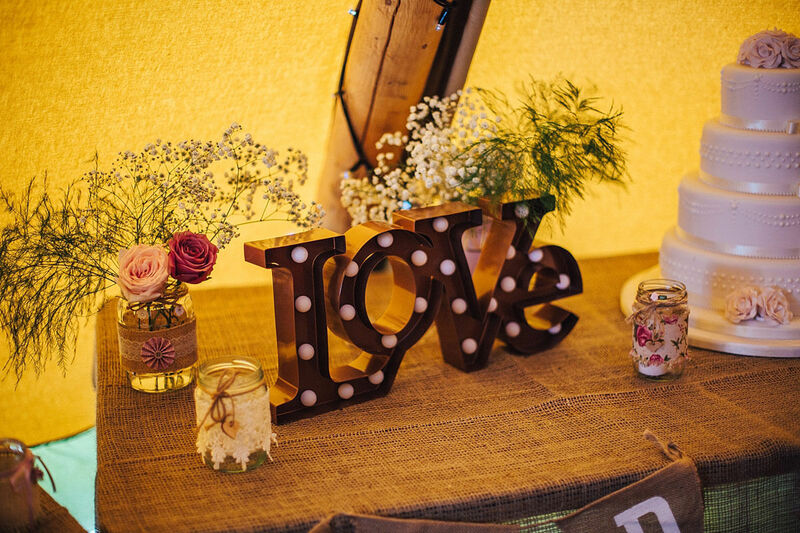 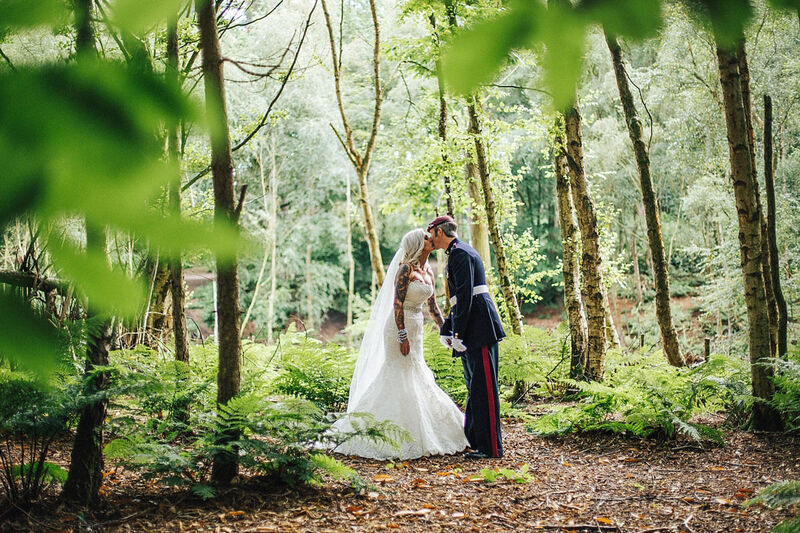 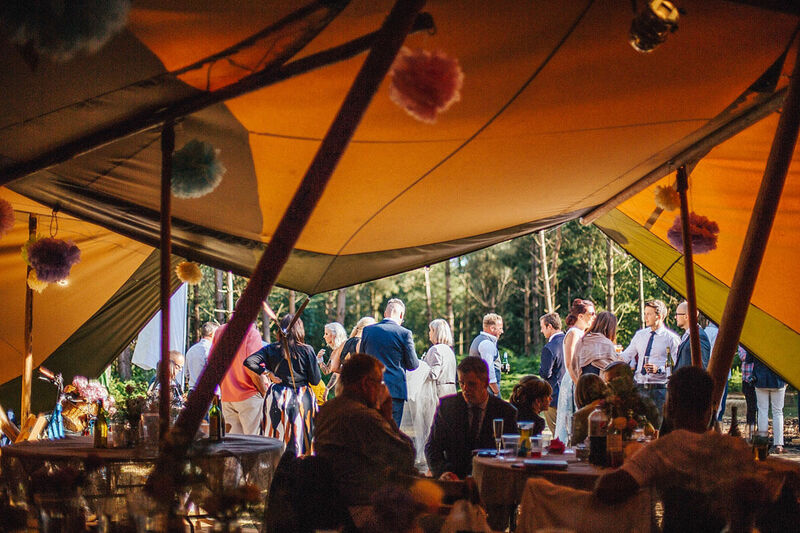 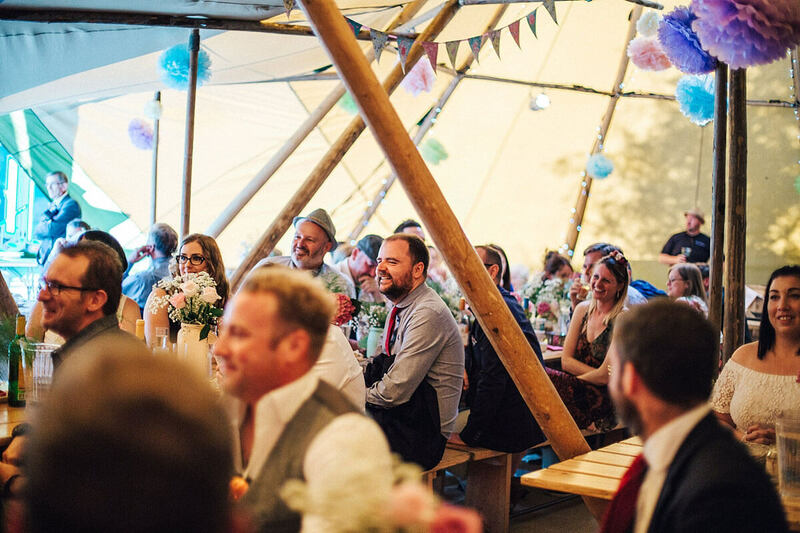 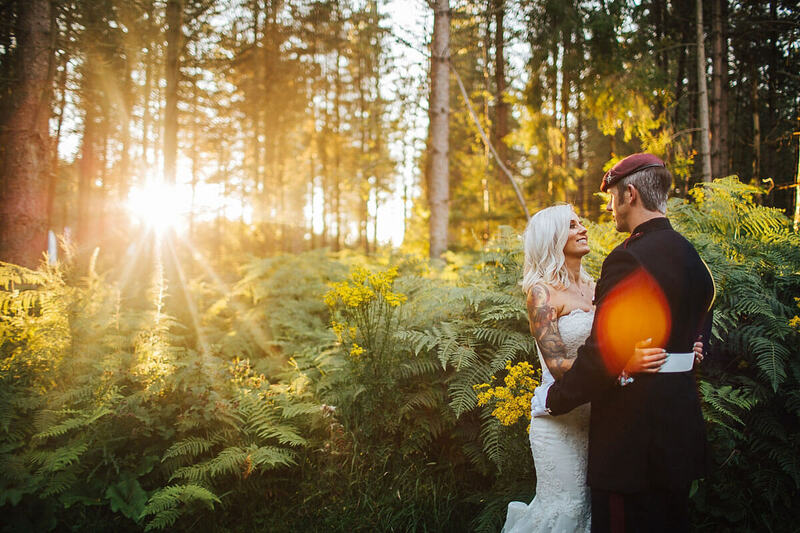 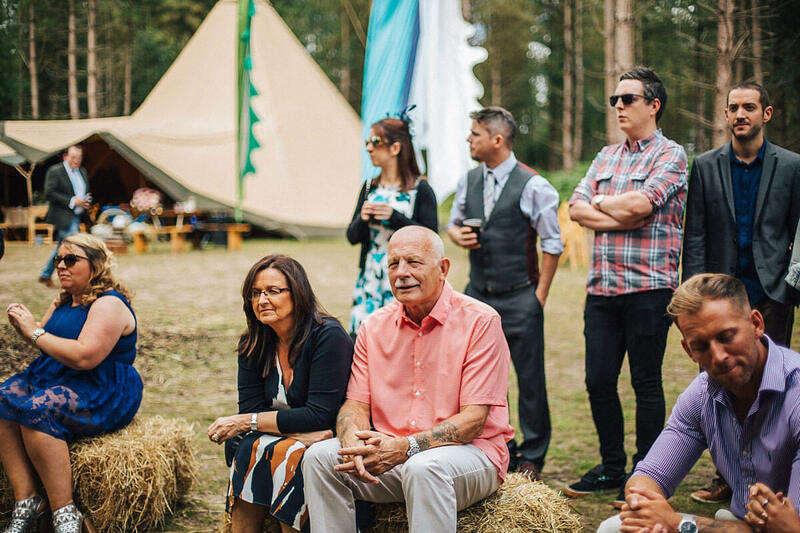 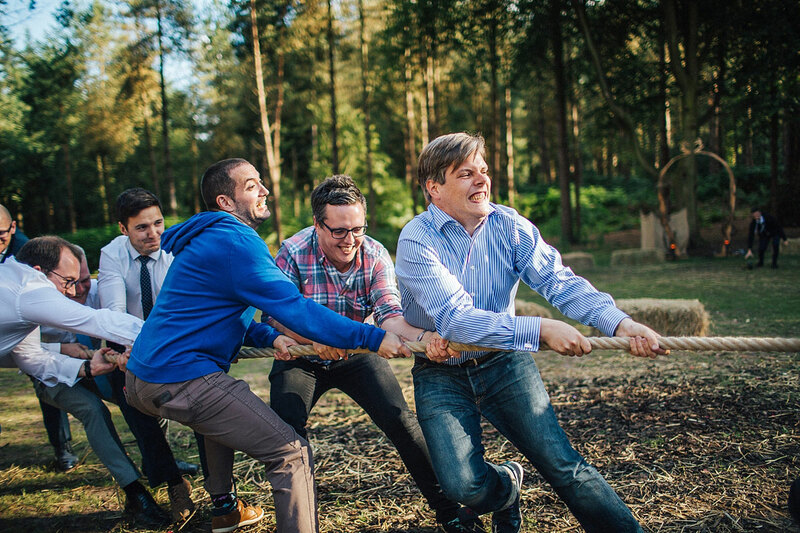 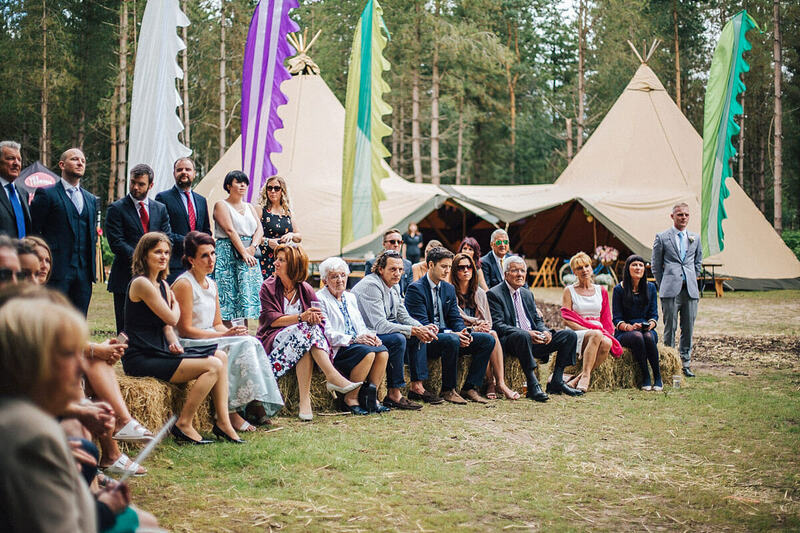 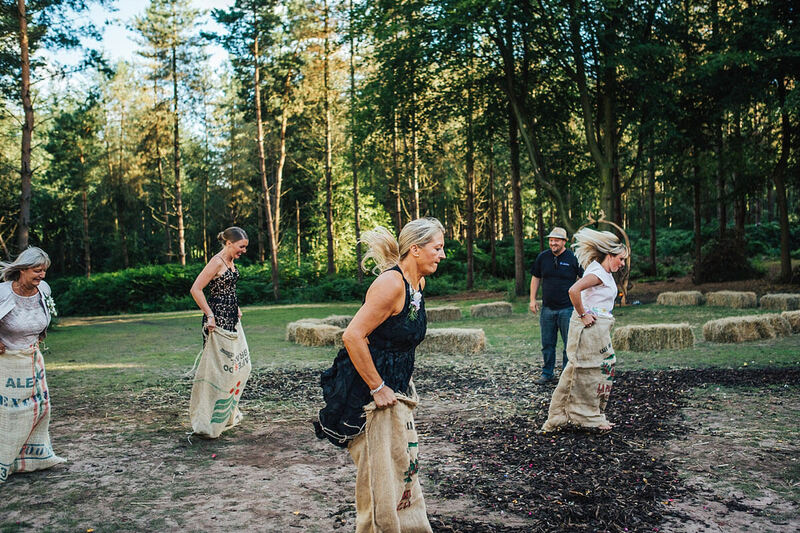 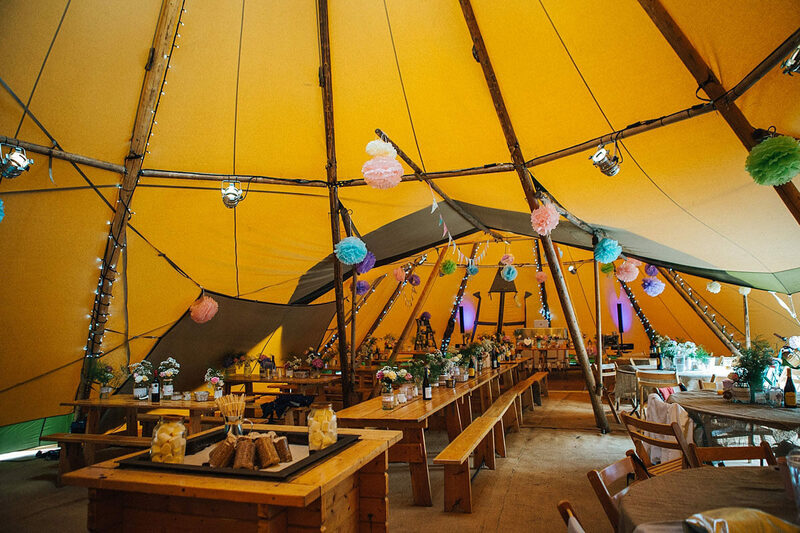 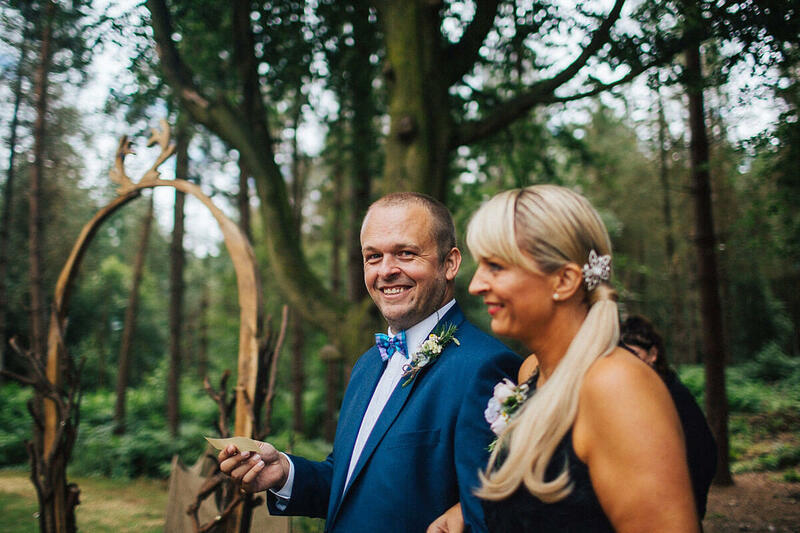 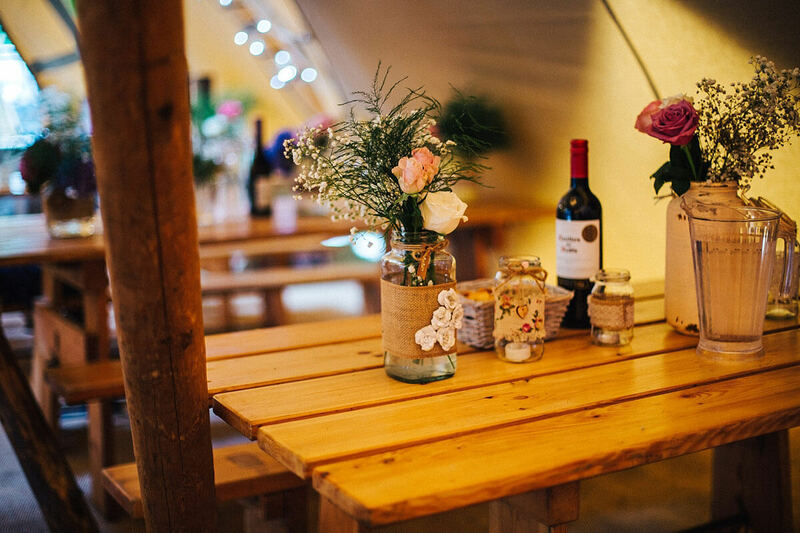 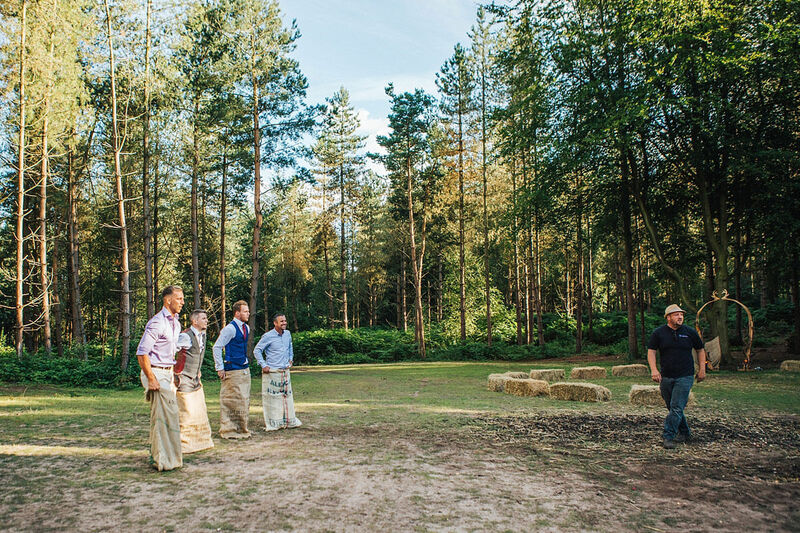 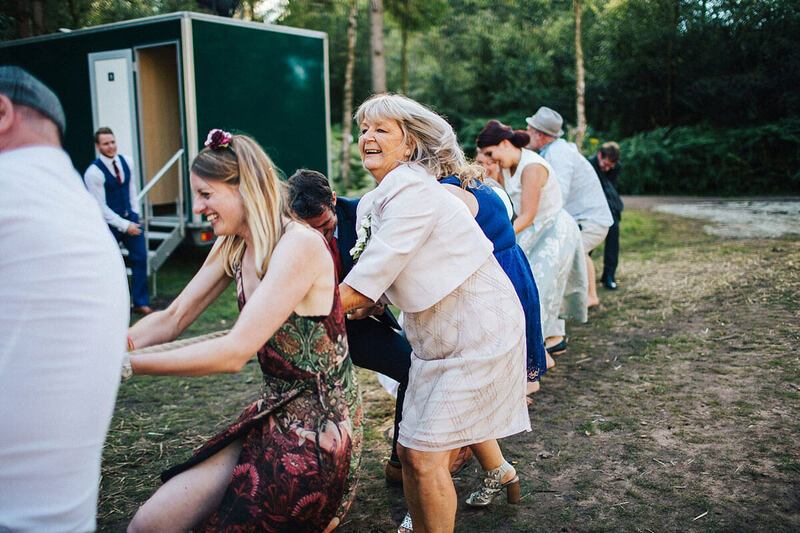 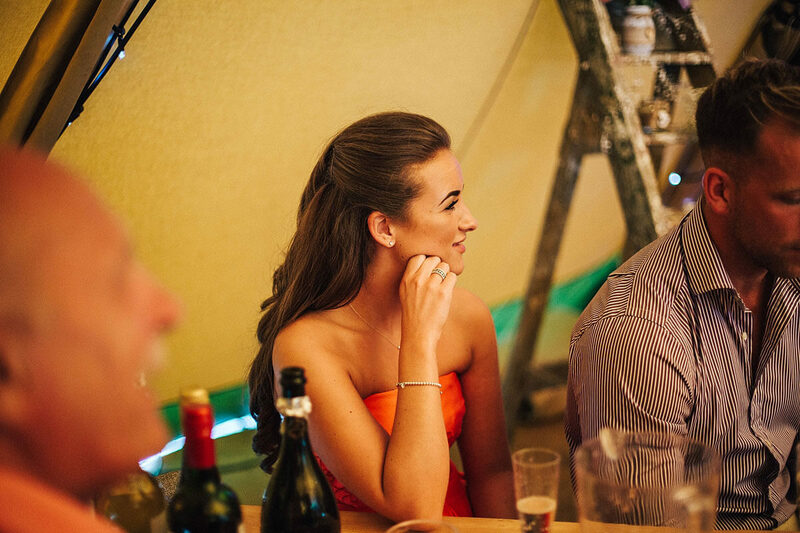 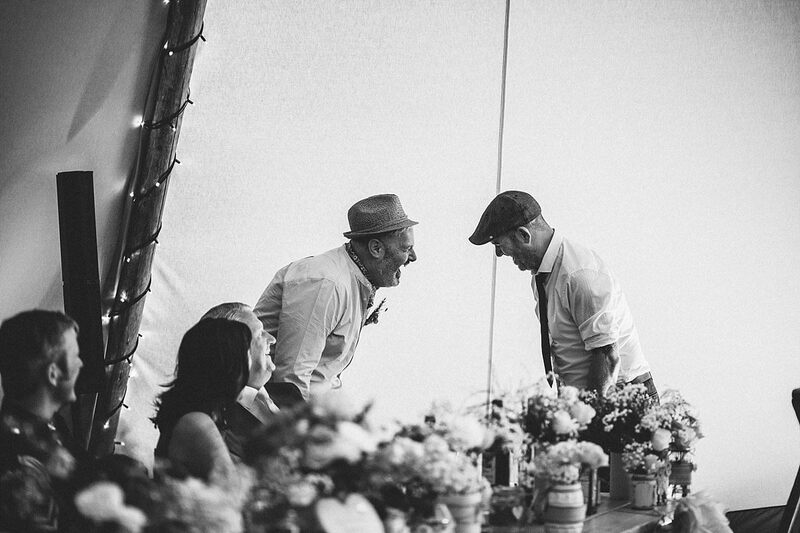 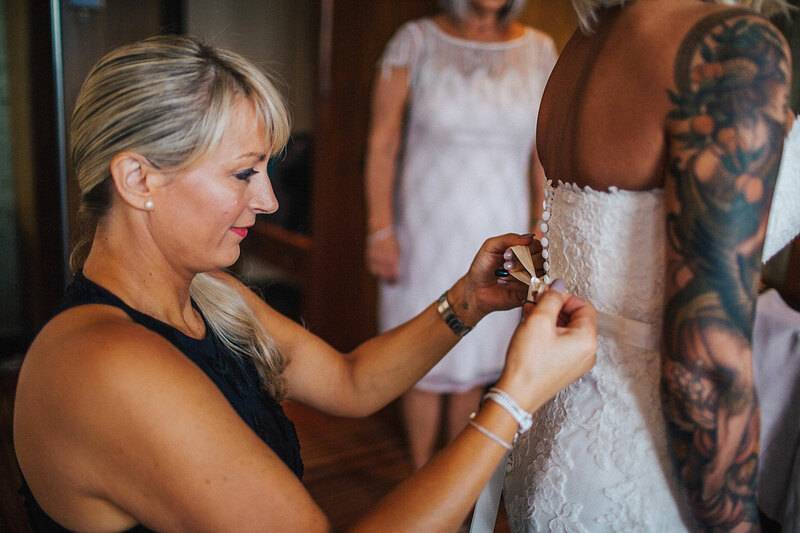 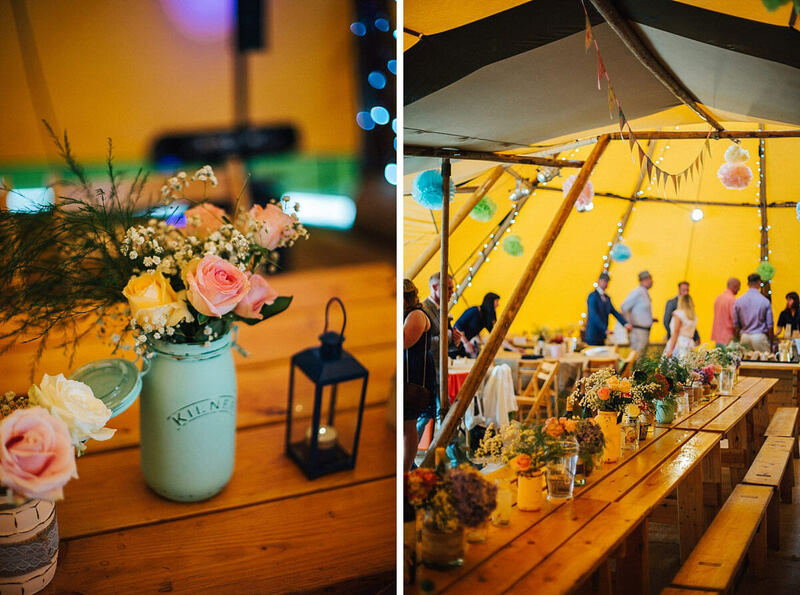 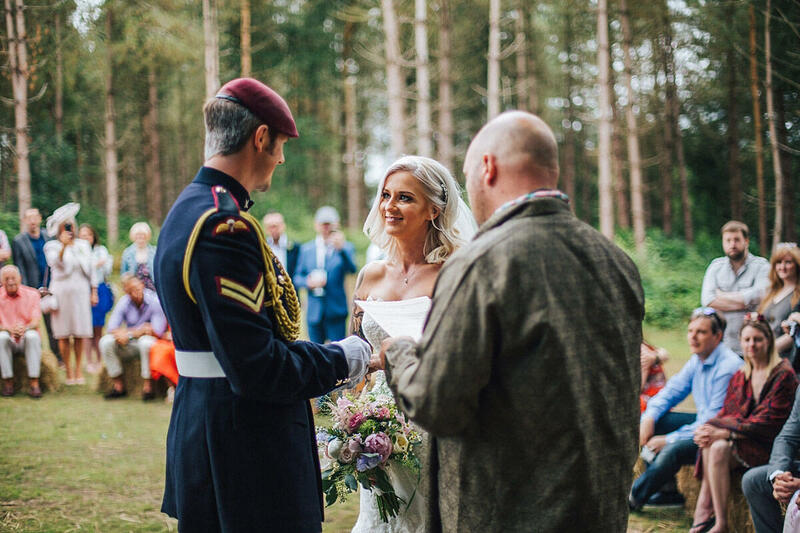 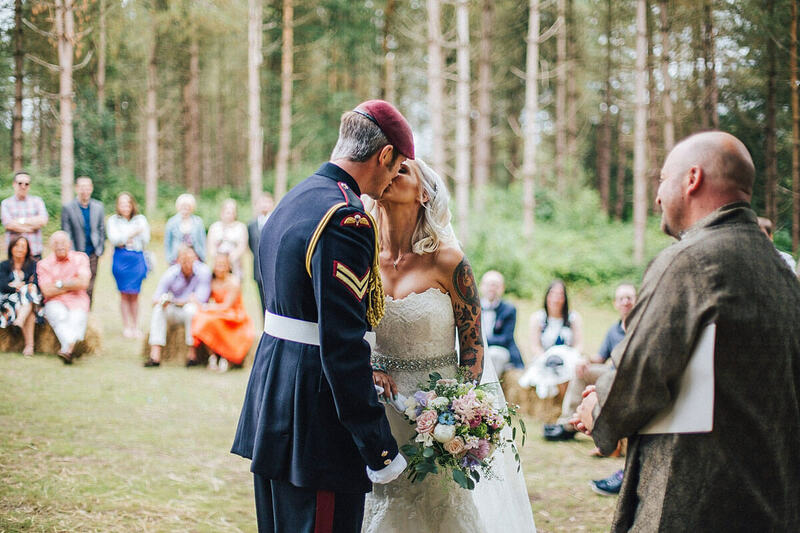 Their Delamere Forest wedding was everything I’d imagined it would be; with a Event in a Tent tipi set hidden in the woodland, a personal humanist ceremony and fun woodland games that really brought their guests together. 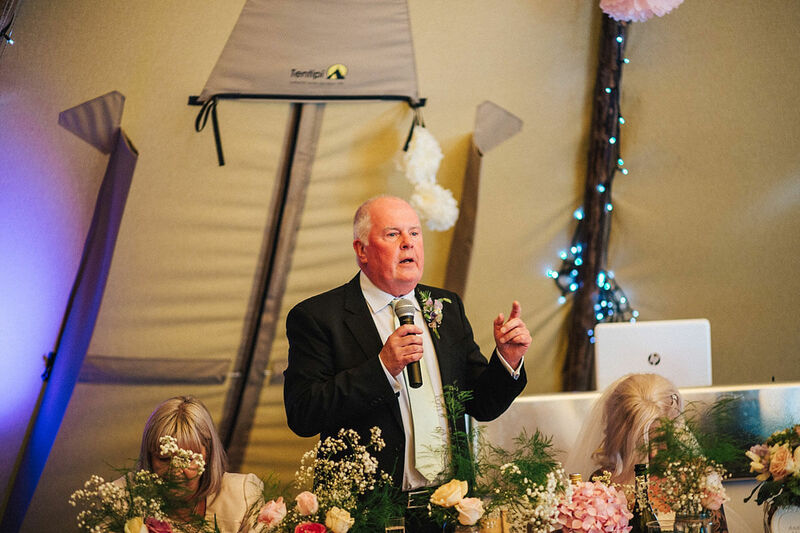 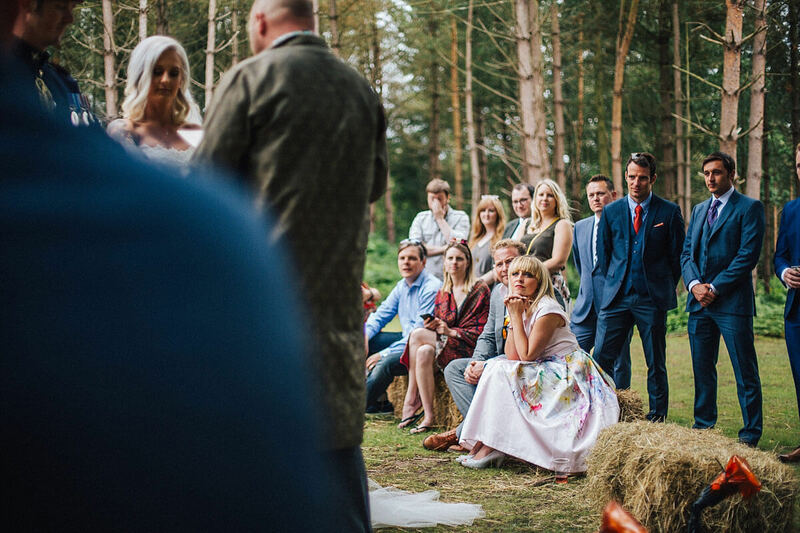 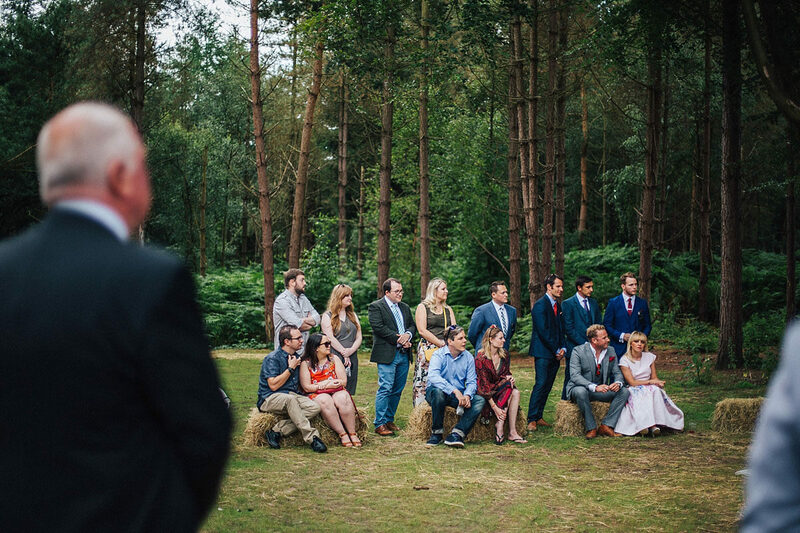 Guests were seated on hay bales as Katie made her entrance through the forest with her dad and man of honor. 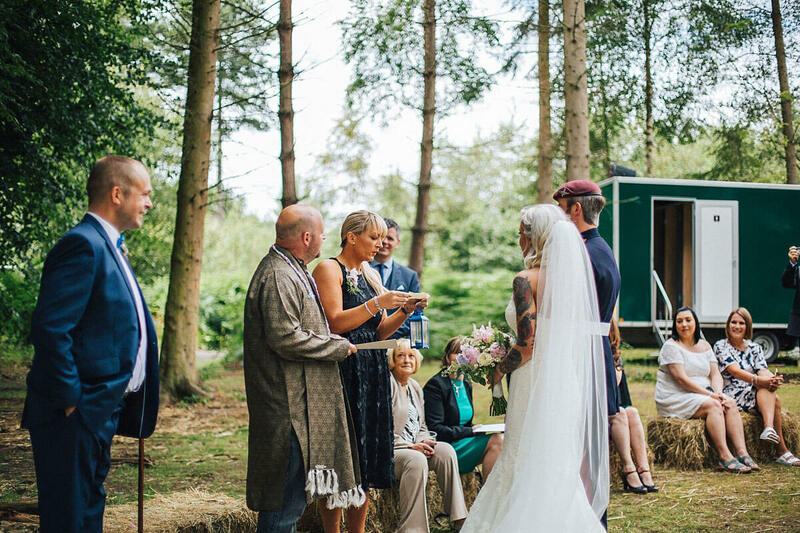 Everyone watched as their humanist celebrant went through each of the rituals, which included a few readings, sharing wine and burning incense. 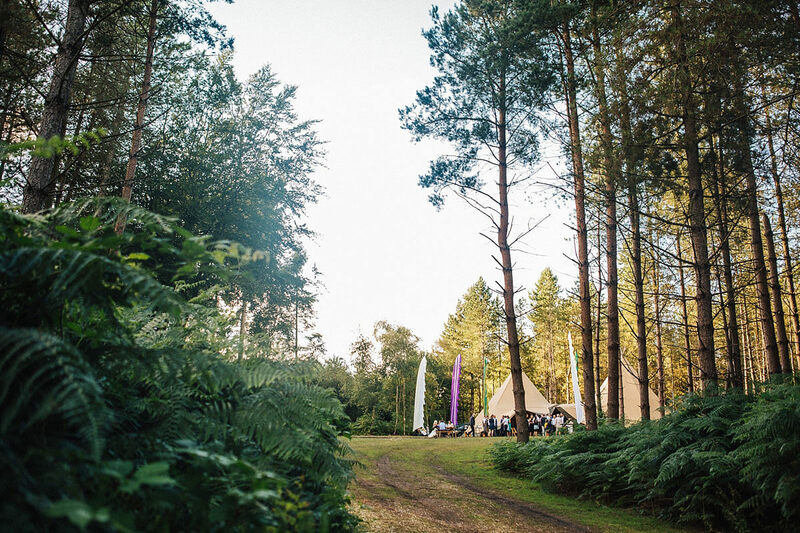 It was the most idyllic setting as you could hear the natural sounds of the woodland and birds singing. 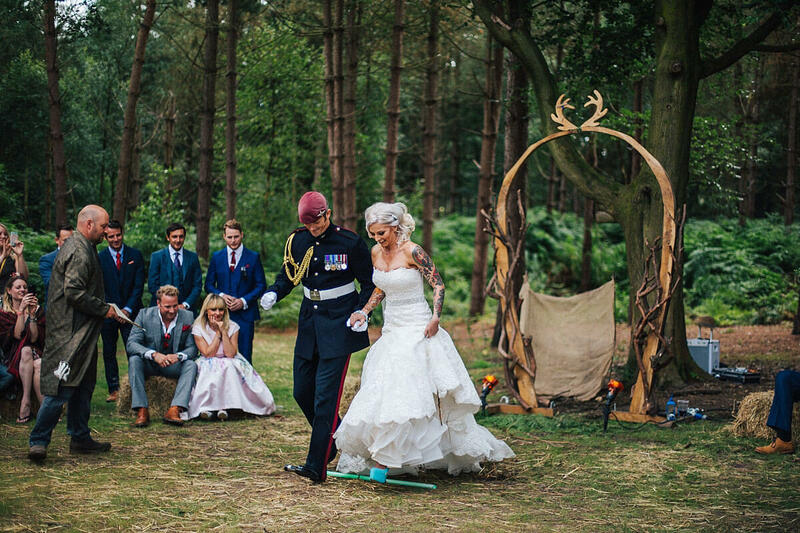 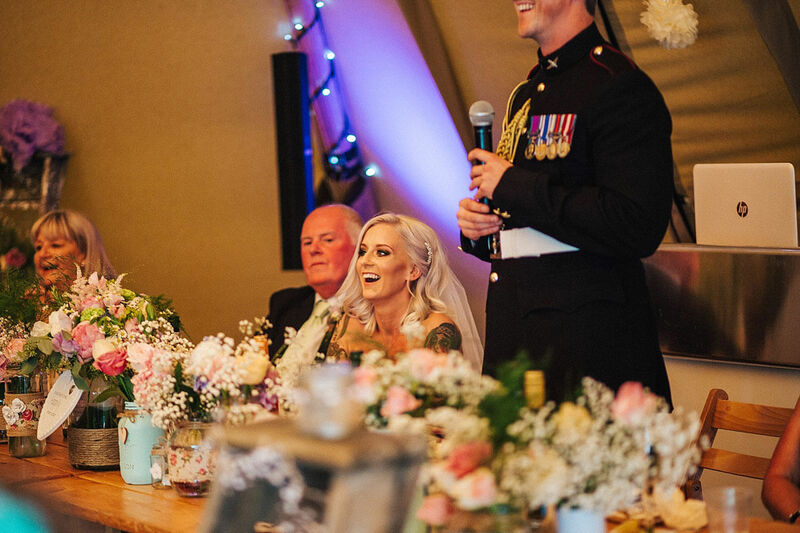 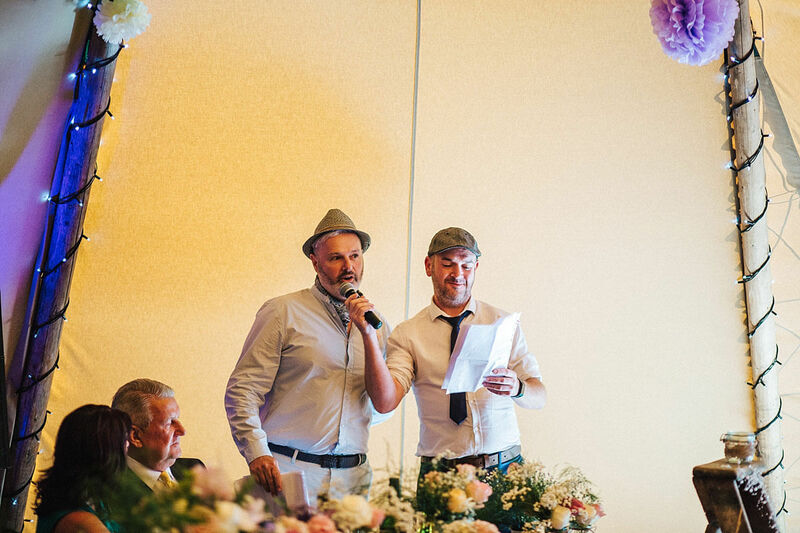 Traditionally, the married couple finish their humanist ceremony by jumping over a broomstick, but the couple opted for a lightsaber which was such a hilarious touch! 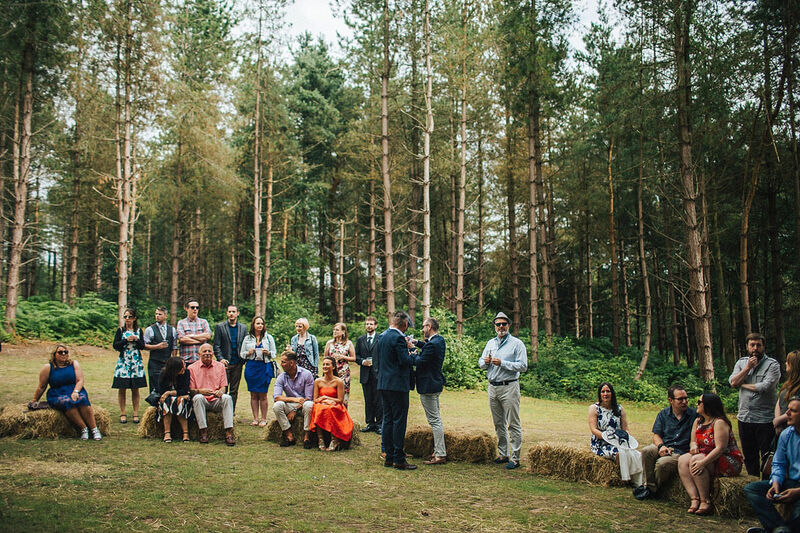 Guests enjoyed burritos and beers in the gorgeous summer sunshine whilst I took the couple away for some portraits around the forest. 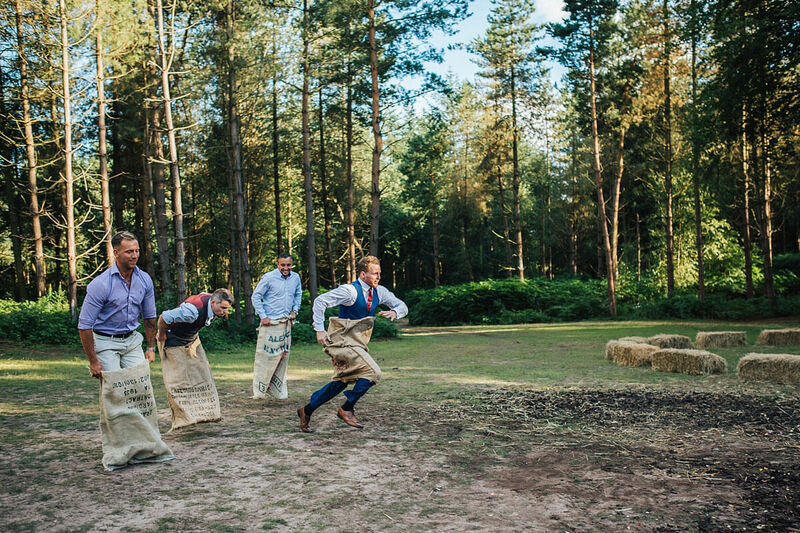 After speeches, everyone joined in with some games including tug-of-war and a sack race which caused plenty of laughs and a few accidents. 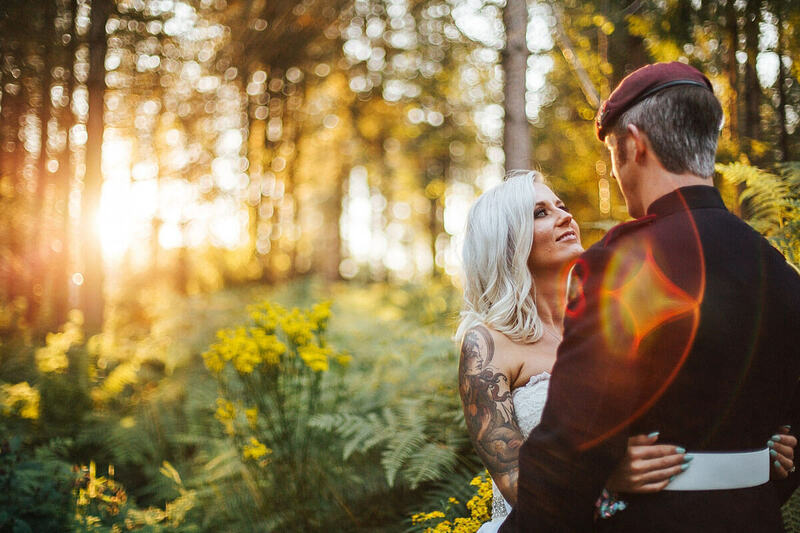 Just as the sun was setting, I sneaked Katie and Gareth away for some time alone and photos in the golden sun.. an amazing way to end their day! 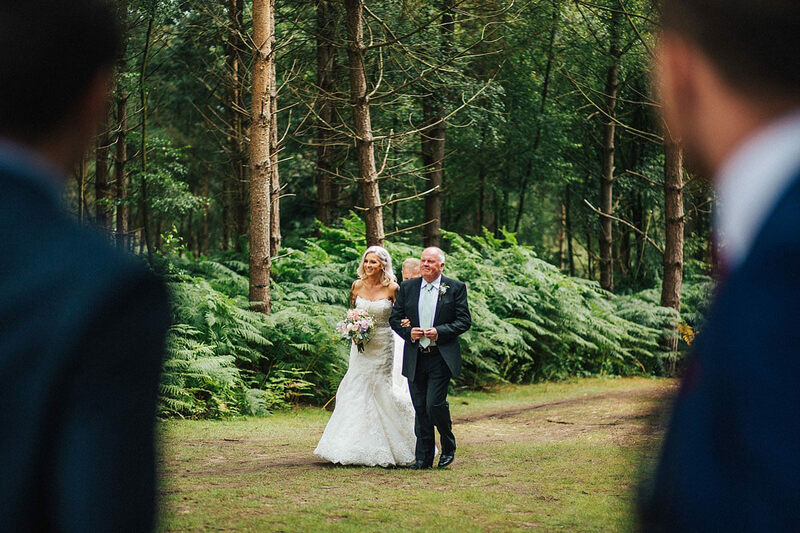 If you’re planning your own forest wedding and like my relaxed style of shooting, I’d love to hear from you. 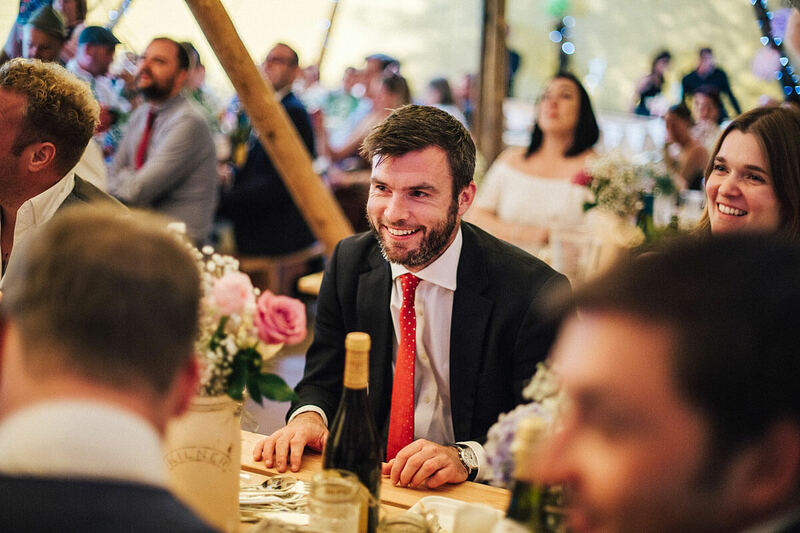 You can get in touch to check my availability through my contact page.